Valletta is the perfect example of strategic planning and environmental management by its builders who left behind a “Unique City”. Valletta 2018 is celebrating this unique culture of thought while building on the experience for a legacy that lasts beyond 2018. The Valletta 2018 Foundation launched the second edition of the Valletta Green Festival while announcing results of a Valletta-wide survey on the use of domestic rainwater cisterns. “The Foundation is focusing on the cultural, economic and social regeneration of Valletta while contributing and encouraging environmental and ecologic improvement,” said Valletta 2018 Foundation Chairman Jason Micallef. “The survey was carried out as a first step to try and restore the sustainable culture of rainwater harvesting”. Valletta is the perfect example of strategic planning and environmental management by its builders who left behind a “Unique City”, Mr Micallef noted. Valletta 2018 is celebrating this unique culture of thought while building on the experience for a legacy that lasts beyond 2018. Ing. Marco Cremona, who carried out the survey said, “Rainwater harvesting is a proven sustainable tool that provides free water and ensures a degree of self-sufficiency and water security. Valletta was a world leader in rain water harvesting: It is hoped that this practice is re-activated and will be a model for the rest of the country”. The Valletta Green Festival will be held from the 29th till the 31st May and seeks to raise awareness about, and contribute to, Valletta’s ecological aspects. Recycled Percussion sessions will be taking place during the Valletta Green Festival, from 10am till 1pm, on Saturday 30th May and will be open to the public. Similarly, the LifeMed Green Roof Project and WasteServ Malta will be holding information sessions at various times during the festival. Environmental Landscaping Consortium Chairman Peter Calamatta said: “One of the main attractions of the Valletta Green Festival is the infiorata featuring over 80,000 potted plants grown over the past 12 weeks at (ELC) nurseries. 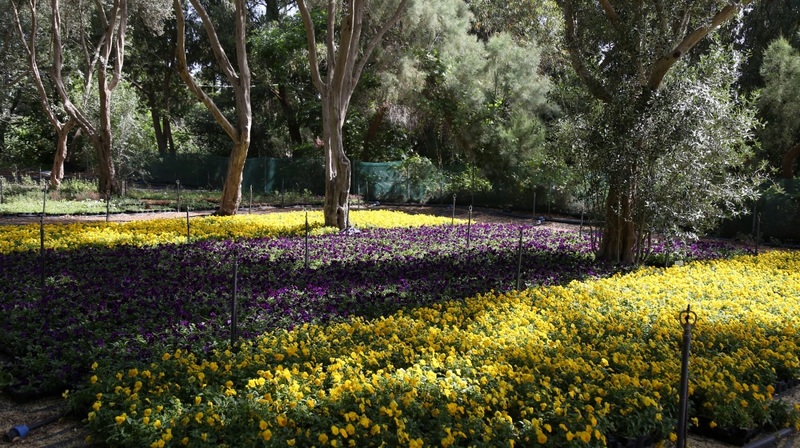 Following the festival, the flowers are replanted in public gardens around Malta and Gozo”. The tradition of the infiorata, or a carpet of flowers, goes back to the 12th Century Italy, and originates from the throwing of flower petals during religious processions. The custom evolved into the careful design of elaborate flower carpets which eventually grew to cover entire streets and squares around the world. The spiral design is the work of designer Daniel Mercieca and is inspired by Maltese Megalithic temples – a strong primal symbol of our cultural heritage.